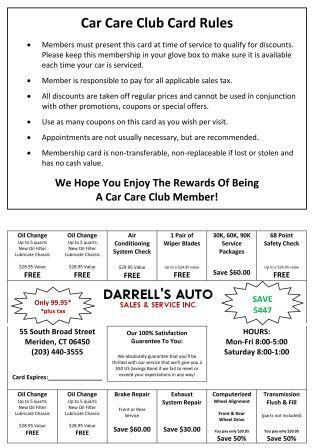 Darrell's Auto Sales & Services Offers Auto Repair Services You Can Count On! 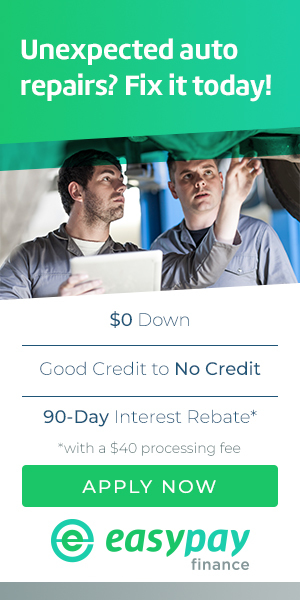 New customers get a one-time 20% discount per vehicle (exludes tires & batteries) upon completion of their first service, to be used on a future service (cannot be combined with other offers). Since 1986, Darrell's Auto Sales & Services has provided motorists in the Wallingford, CT 06492 area with comprehensive auto repair services that include 4x4 Services, Alignment, Brakes, Car & Truck Care, Domestic Cars & Trucks, Electrical Services, Electronic Services, Emergency Roadside Assistance, Engine & Transmission, Engine Maintenance, General Services, Heating and Cooling Services, Import Cars & Trucks, Junk Car Removal, Miscellaneous Services, Tires, Towing, Towing & Recovery, Transmission Services and Undercar Services. Our goal is to offer the best services available at affordable prices to get you back on the road in no time. Darrell's Auto Sales & Services is family owned and operated. We started as a Sunoco station (1986-1992), then a Mobil station (1992-2007), and now we have 5 service bays. We pride ourselves on getting the services or repairs on your vehicle right the first time by our four highly qualified service technicians and our highly qualified service technicians. 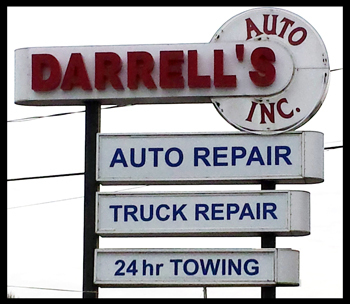 For a high-performing vehicle, trust Darrell's Auto Sales & Services with your car, truck, or van. To learn more about the services we offer, please contact us by phone at 203-626-9741 or send us an email. We also invite you to learn more about our dedication to you, our valued customer. I've had a number of services done by Darrell over the last few years and can honestly say he is the most trustworthy mechanic I've ever dealt with. Always gives options and always fixes the problem the right way, the first time. Class act and honest prices for services done right, and on time. I want to say a few words about Darrell's Auto Sales and Services: I moved into town early in the year 1985. I encountered a car problem and my previous mechanic was several towns away. Not knowing anything about Wallingford, I went to the original location of Darrell's on East Center Street fully expecting a hassle to get service, as I needed my car quickly to be able to drive to an out of state company meeting the following day. Darrell scheduled my service early AM the next day, as it was around 5 PM that I drove in, and repaired my car. Yes, the service was good but the integrity, communication, and courtesy was, and still is, equally as good. It is now 2018 and I am still going to Darrell's. That in itself should say something. It is a pleasure dealing with Darrell and his extremely competent head mechanic Leonardo (Leo). I do recommend this operation. They really stand behind their work. Thanks guys. 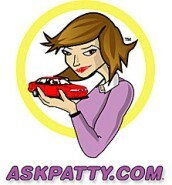 This past Friday night I needed to speak with a mechanic who had a tow truck. It was roughly 5:30 pm and Darrell answered the phone. He discussed the problem with my husband and within an hour his tow truck driver Juan came to my home and was able to take the car, lacking one wheel; out of my garage and towed safely to his garage. It was roughly 7:30 pm by the time Darrell and his crew took my car in. He then fixed the car at half the price Subaru quoted! He's amazing and I will always be grateful for his timeliness and kindness and especially his generosity. A good, honest man. The family mechanic for over 25 years. Rather than performing unnecessary work and running up the bill, like some other shops would do, only does what the customer actually needs. There have been several occasions where I have brought my vehicles in thinking the bill would be astronomical and have been surprised by an inexpensive fix. I would walk out thinking he could have charged me more but didn't, so I will be returning when I need more repairs. This is why he has so many loyal and repeat customers. He treats everyone right, and takes care of his customers so they come back. STRONGLY RECOMMENDED!! !